A lightweight, multi-language programming editor for macOS. Any programmer knows the importance of good code completion. 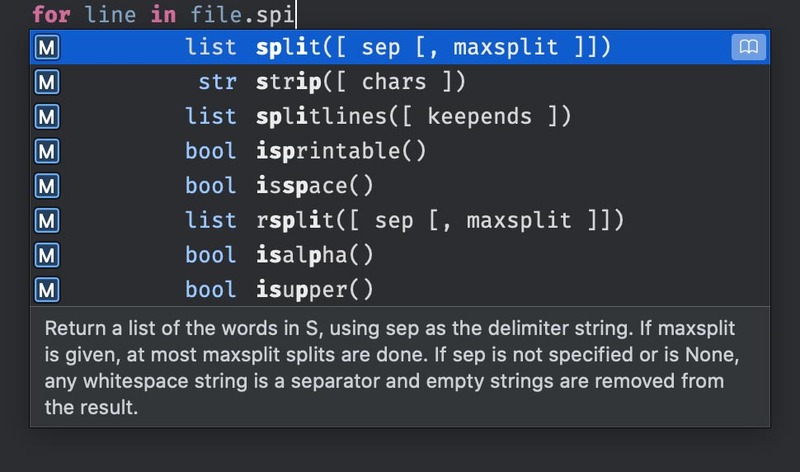 That's why CodeRunner delivers powerful IDE-level code completion for most languages, including fuzzy-search, tab-selectable placeholders, and documentation snippets. 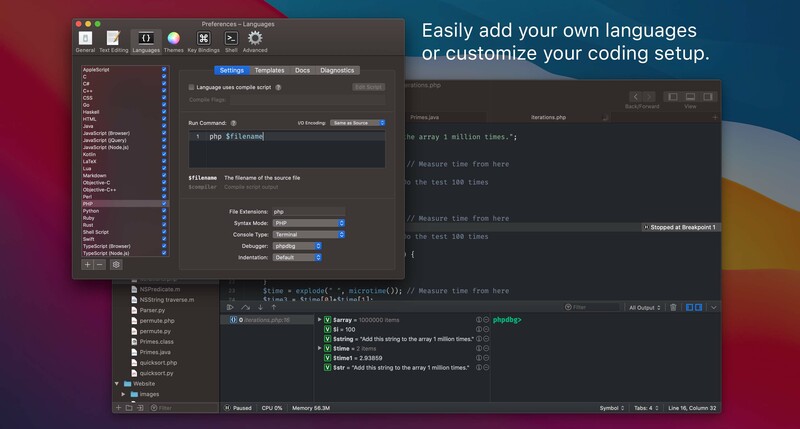 CodeRunner was built on the principle that you need to be able to run your code instantly, in any language. 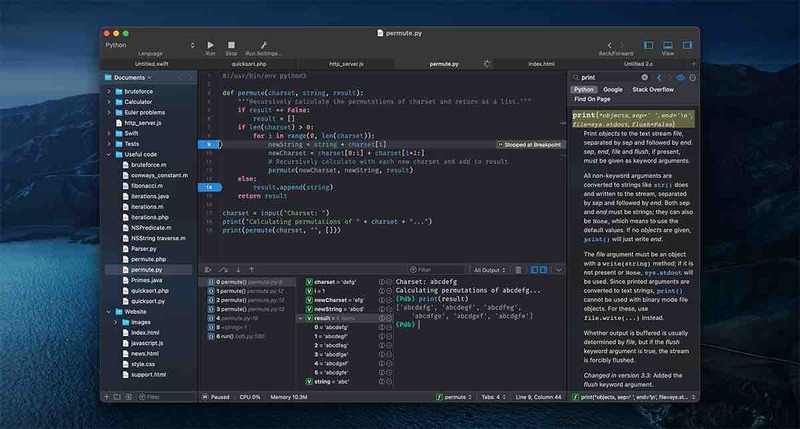 CodeRunner can run code in 25 languages out-of-the-box, and can be easily extended to support other languages. Adding a language is as easy as entering its terminal command. 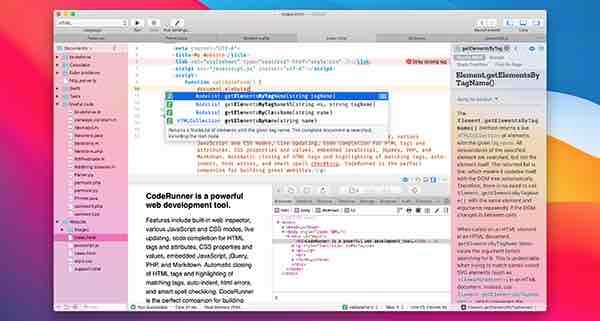 CodeRunner can also run multi-file projects without any manual setup required. A good debugging workflow is key to producing quality code. With CodeRunner, you can set breakpoints and step through your code in more than a dozen languages instantly. Just click the text margin to set a breakpoint and start debugging. Explore the call stack, view and edit variables, and interact with the debugger. 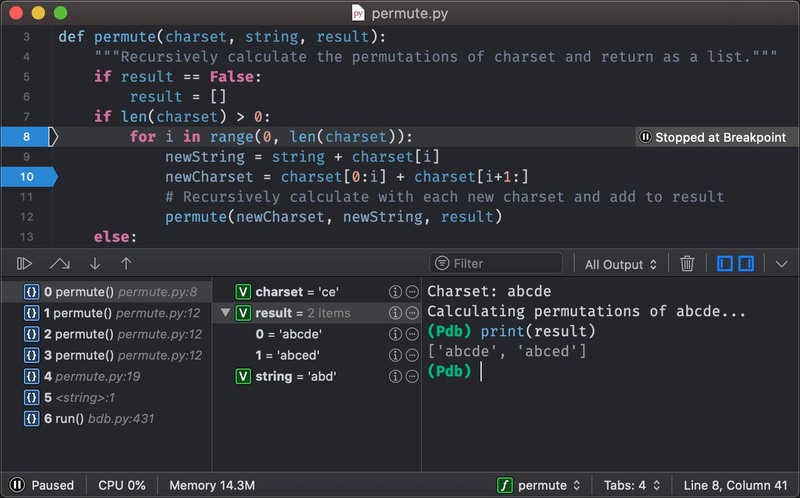 Debugging code in any language has never been so quick and easy. 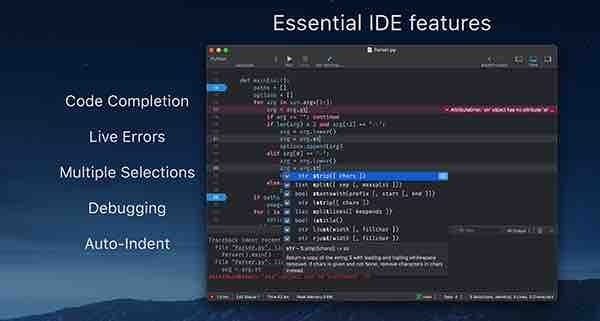 Below is a summary of all the languages CodeRunner supports out-of-the-box. ...and 200+ syntax highlighting modes. Bought CodeRunner on the App Store? 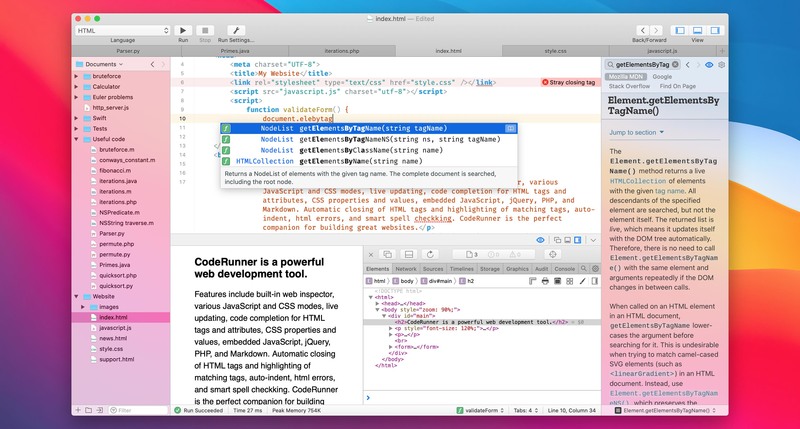 If you have bought CodeRunner on the App Store, you can receive a license key for use with the non-App Store version. To generate your license key, simply download CodeRunner and follow the instructions in the licensing window. Don't replace your App Store copy of CodeRunner until after you've generated your license key. Copyright © 2019 Nikolai Krill. All rights reserved.